Teachers almost always come from a humanities background. It therefore doesn’t surprise that they tend to feel more comfortable teaching English, History and Geography more than Maths and Science. A very experienced curriculum coordinator recently told me that it is very common for primary teachers to skip fractions because they aren’t confident with the topic to answer some of their own text book questions let alone explain it to their students. TYPICAL student teachers have the maths ability of a 12-year-old child, leaving them ill-equipped to teach the subject — let alone even pass a Year 9 ­NAPLAN test. The warning comes from leading univer­sity maths lecturer Stephen Norton, who said that half his students would not pass the Year 9 national numeracy test, even after three or four years of tertiary study. Dr Norton tested the maths ability of all 125 students who enrolled in a Griffith University graduate diploma of education — a one-year course for those who have a bachelor degree in another field — last year and this year, as well as 40 students in the third year of a bachelor of education course in 2013. Barely half the would-be teachers knew how to convert 5.48km into metres — and 17 per cent failed to convert 6kg into grams. Only 16 per cent could convert temperatures from degrees Celsius to Fahrenheit, using a formula written on the test paper. Just one in four knew how to convert a fraction to a percentage. Just one in three students knew how to calculate the areas of rectangles and triangles. The alarming results of the only publicly available tests of student-teacher numeracy in Australia will fuel calls to reform the teaching of mathematics at schools and universities. Federal Education Minister Christopher Pyne has already flagged the introduction of compulsory literacy and numeracy tests for aspiring teachers. The most recent OECD Program for International Student Assessment test reveals that four out of 10 Australian teenagers lack basic maths skills. The federal Education Department’s newly released 2013 teacher survey shows that only two-thirds of primary teachers and a quarter of high school teachers were trained at univers­ity to teach maths. Five per cent of the nation’s high schools had at least one ­unfilled vacancy for a maths teacher during 2012. The official survey found that almost a third of teachers involved in teaching numeracy wanted more professional development on the job. Queensland’s Auditor-General has found that one in three maths teachers in Years 8 to 10 lack a tertiary qualification in mathematics. Dr Norton said half the students he taught flunked his entry test — although their results improved by 30 per cent after they completed eight weeks of maths study, including 32 hours of face-to-face instruction. “Most prospective primary teachers struggle with upper primary mathematics upon intake,’’ he said. “It is interesting that the third and fourth-year undergraduate students were on par with the entry postgraduate students. “Inability to carry out accurate division and convert a decimal to a percentage, or to carry out basic whole-number problem solving, prior and post learning, was cause for concern. Dr Norton — who has a PhD in mathematics education and a master of science, and taught maths and science for a decade at Brisbane high schools — called for more face-to-face maths instruction for all trainee teachers. He said he believed he was the only academic who tested trainee teachers’ maths ability before and after their maths instruction. What do you get when you add a proud father who happens to be a sports star and a child who can calculate difficult equations in his head? 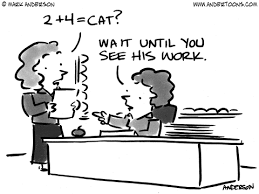 A great endorsement for mathematics! My favourite subject to teach is maths. This is not because I have a personal affinity with the subject, but because I believe that it can be taught in an extremely engaging way. I prefer to dispense with mundane text books and mindless mental math activities and concentrate on games and outdoor maths lessons such as the one I came up with called Mission Impossible. To me, maths is an everyday skill with real relevance. That relevance must be apparent to the students. If they can’t understand why we need addition or fractions or measurement, how on earth will they be able to apply what they have learned? That’s why I’m against teaching times tables by heart as an end point. Sure, students may be able to recall 9 x 7 instantly, but if you ask them how many tickets were sold for a sell out concert if there were 9 rows of seat with 7 seats in each row and get a blank response, they just haven”t got it! Stanford University researchers first peeked into the brains of 28 children as they solved a series of simple addition problems inside a brain-scanning MRI machine. The children were tested twice, roughly a year apart. As the kids got older, their answers relied more on memory and became faster and more accurate, and it showed in the brain. There was less activity in the prefrontal and parietal regions associated with counting and more in the brain’s memory center, the hippocampus, the researchers reported Sunday in Nature Neuroscience. The hippocampus is sort of like a relay station where new memories come in — short-term working memory — and then can be sent elsewhere for longer-term storage and retrieval. Those hippocampal connections increased with the kids’ math performance. “The stronger the connections, the greater each individual’s ability to retrieve facts from memory,” said Dr. Vinod Menon, a psychiatry professor at Stanford and the study’s senior author. Next, Menon’s team put 20 adolescents and 20 adults into the MRI machines and gave them the same simple addition problems. It turns out that adults don’t use their memory-crunching hippocampus in the same way. Instead of using a lot of effort, retrieving six plus four equals 10 from long-term storage was almost automatic, Menon said. In other words, over time the brain became increasingly efficient at retrieving facts. Think of it like a bumpy, grassy field, NIH’s Mann Koepke explained. Walk over the same spot enough and a smooth, grass-free path forms, making it easier to get from start to end. If your brain doesn’t have to work as hard on simple math, it has more working memory free to process the teacher’s brand-new lesson on more complex math. Quiz your child in different orders, she advised — nine times three and then 10 times nine — to make sure they really remember and didn’t have to think it through. While the study focuses on math, Mann Koepke said cognitive development in general probably works the same way. After all, kids who match sounds to letters earlier learn to read faster. Stanford’s Menon said the next step is to study what goes wrong with this system in children with math learning disabilities, so that scientists might try new strategies to help them learn. Take a bow Mr. Wright! You are an inspiration! Is there anything more powerful than a proud parent? Watch how much this positive math result means to this father. A woman born with no arms is proving to children they can achieve whatever they want to – by teaching them with her feet. Mary Gannon, who works at a Lakewood, Ohio middle school, writes on the board, types on her computer and hands out worksheets with her toes. Ms Gannon, who teaches maths and science, grew up in a Mexican orphanage and was adopted by an Ohio family when she was seven. Speaking to Fox 8, she said hopes her determination teaches the children a valuable life lesson. ‘I’m doing what I wanted to do, what I love to do,’ she said. ‘And if you set your mind to whatever you want to do and you love to do then – go for it – no one can stop you.’She said she does not like being called handicapped or even different ‘because it has a negative bias’, she said. Click on the link to read School Fires Entire Staff! iDevBooks – Educational Math Apps, by Esa Helttula, are par excellence when it comes to educational tools! This suite of apps are a must-have for any school using mobile devices, as well as for parents who want to encourage mastery of math concepts for their children. 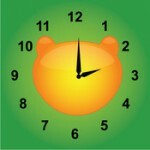 This collection of 16 iPhone, iPod Touch, and iPad educational math apps are easy to use and offer intuitive interfaces. 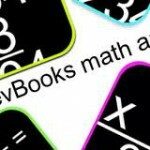 The iDevBooks math apps are used by schools, parents, and students worldwide. They are also popular in special education. Jungle Time, Jungle Coins & Jungle Fractions!, by Andrew Short, of Jungle Education – We still need to learn to tell time, utilize money, and understand fractions. These three essential concepts are not easy to teach and harder to learn. Lots of hands on practice is needed and Andrew Short has got the “lots of” covered. All three games offer five levels of challenge, they start with the rudimentary concept and gradually progress over several grade levels. A MUST HAVE! 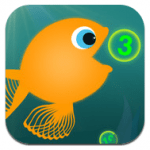 Motion Math: Hungry Fish, by Motion Math, is another MUST HAVE math game! 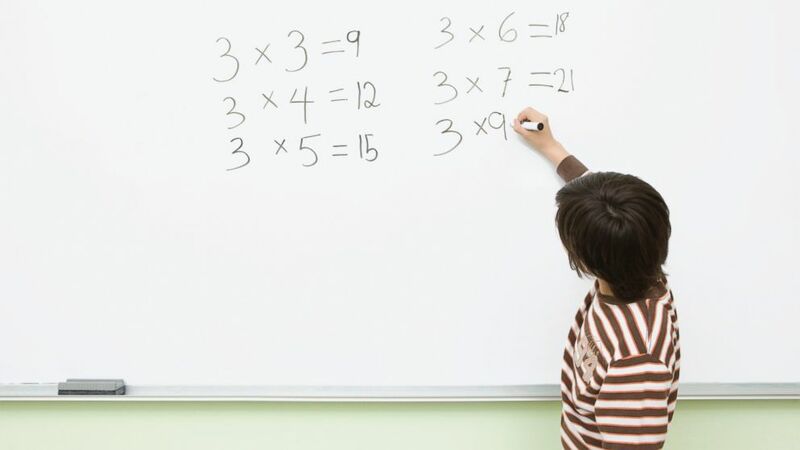 Mental math is such a key component for success in building a strong foundation in math, and building on this early on helps all other math concepts fall into place with relative ease. Our students were enthralled by this simple, yet brilliant game – and they were polishing up on their number skills with smiles on their faces! Brilliant job Motion Math! Math Evolve, by InterAction Education and Zephyr Games, has really pushed the envelope. This app introduces a revolutionary “video-like” gaming app for practicing math facts. One of our students called it, “The Call of Duty,” of math games. Adam Coccari, teacher and creator of Math Evolve, sums it up best when he says, “Achieving success in all levels of math starts with having a solid foundation in addition, subtraction, multiplication, and division.” Mastering these facts takes time and lots of practice, Math Evolve has taken care of all of that in an enormously engaging format. 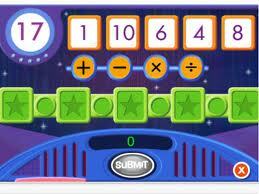 Operation Math, by Spinlight Studios, is sizzling with excitement! The mission is possible with this new app, which grabs kids attention immediately and keeps them engaged on their quest to do good. The goal here is to help destroy Dr. Odd and practice your basic math facts along the way. In order to open the series of locked doors, you must perform either addition, subtraction, multiplication, division, or any combination of operations. You can first train in the infinite Base10 Training Room, where your performance will be tracked. When you are up for the challenge, you choose a mission. Sums Stacker, by Carstens Studios Inc, is an amazing app. It incorporates critical thinking, problem solving, and strategic planning skills, all while you’re “playing” with math concepts, with great gaming style! Carstens’ says this about math, “It wasn’t until after my school years, that I became a lover of math. I managed to slip through all of those classes, text books, and homework assignments, without learning one of the most important math lessons of all – math is fun!” This app challenges your reasoning, your number sense, your addition and subtraction facts, and your knowledge of coin values, and oh yes, reading, if you so desire. 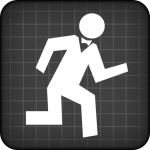 iTooch MATH Grade 5, by eduPAD, is a terrific app that covers a lot of ground conept-wise and shouldn’t be limited to just fifth graders. This app combines a no-frills approach to content while still providing the user with an exciting learning experience. The mascot is adorable and keeps kids on task with lots of encouragement and there is a lesson summary available when needed. iTooch MATH now has grades three through five available. Oh No! Fractions, by di Luna, came recently to our attention, but if a colleague hadn’t said, “It’s tough for kids to grasp fractions”, it may have slipped through the cracks. Luckily, it didn’t and we are here to sing its praises.Oh No! Fractions is as simple as it gets. This gorgeous app lets the user decide whether the given fraction is less or greater than another fraction. After the child has decided and chosen less or greater, it asks ”I’m Sure” and then “Prove It” where a visual representation of the two fractions is shown and manipulated by the child. 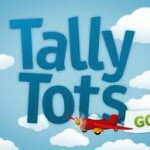 TallyTots, by Spinlight Studio, is a simple yet invaluable learning app to teach youngsters number concepts. The intent of the app is to teach your child number recognition, one-to-one correspondence, and how to count to 20 – all while having a delightful time. When the app starts, you are taken to a screen that has all 20 numbers. Your child chooses the number they want and the counting begins. Each number is outlined as it is counted up the number line. KidgitZ, by TapDream Arts, is the second in a series of mental math challenges for kids of all ages. Addictive, it is! Students were so engaged that they never even heard the bell ring… and the next period was lunch and recess! Several students came looking for me and my iPad to continue playing during extra help. Their responses were all similar, with mentions of how hard it was to stop playing this AWESOME game! Bedtime Math (TM!) was created by Laura Overdeck, an astrophysics graduate and mother of three in New Jersey who turned a fun activity with her kids into a website of the same name. 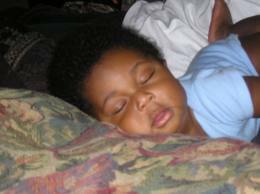 Overdeck told NPR’s Ashely Milne-Tyte that Bedtime Math — or maybe bedtime math — started when her oldest child was two years old. Every night, while tucking her in, Overdeck would ask her a math problem. Her daughter loved it so much, they began doing it every night. More kids came along and the challenge of creating one problem that would keep three different kids of three different ages engaged became ever greater. In February, Overdeck launched her website, where she posts daily problems and puzzles for kids of different ages. More than 5,000 people subscribe to her daily emails. They’re pretty cute and work nicely as short bedtime stories, too. Where Have These So-Called “Master Teachers” Been All this Time? I am very frustrated by the lack of investment from many of our “best teachers” in helping mentor their less experienced and less confident colleagues. In a post in May, I raised the question – Do experienced teachers give enough back to the profession? I argued that these experienced teachers could be a vital resource for improving teacher quality. President Barack Obama on Wednesday proposed a $1 billion program to recruit high-performing math and science teachers to mentor and evaluate their peers and help students excel. The so-called Master Teacher Corps program calls for recruiting 2,500 such educators at the outset and increasing that to 10,000 over four years, paying them $20,000 stipends on top of their base salaries. Each teacher would be required to serve at least four years. To help launch the program, the Obama administration has pledged to release $100 million already available to school districts that have made plans to develop and retain effective teachers of science, technology, engineering and math, or STEM. Education Secretary Arne Duncan said the plan would raise the prestige of the profession and increase teacher retention. I just wish experienced teachers could offer more voluntarily without having to be bribed to help with costly incentives. 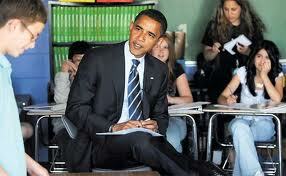 Click on the link to read my post, Do experienced teachers give enough back to the profession?